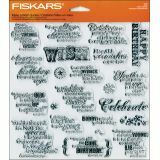 Fiskars Quote Clear Stamps 8"X8" Sheet - FISKARS-Quote Clear Stamps. 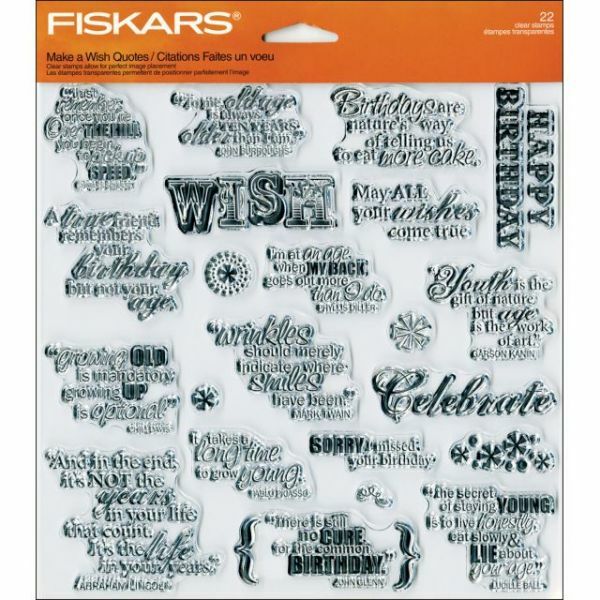 Themed sets of clear stamps with creative quotes and says. Love, Friendship, and Babies are only a few of these sets. Sets include up to twenty stamps in a variety of sizes. Each package contains one 8x8in sheet of non-yellowing stamps that make a clear, crisp image. Number of stamps varies by theme. Imported.